Welcome to Day #8 of South American Chocolate Theme Weeks. 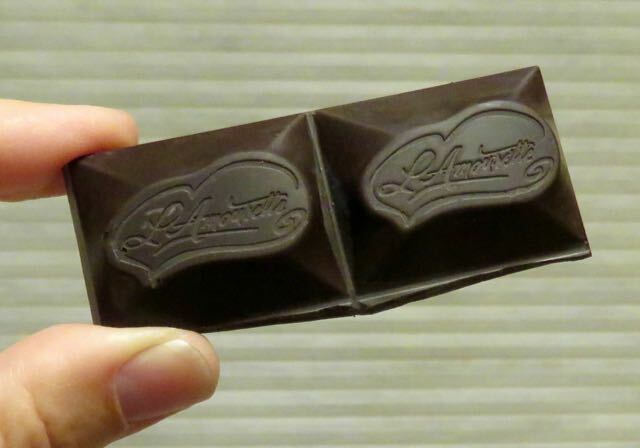 Today's two ingredient bar was from L'Amourette Chocolat LLC in San Francisco, CA. It contained Venezuelan Trinitario cocoa beans (Carenero Superior) and cane sugar. Nothing else. 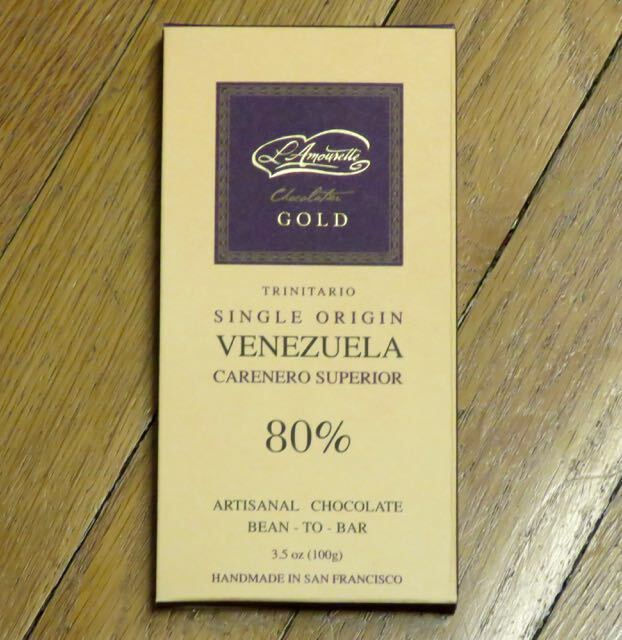 This high-percentage 80% cacao bar was part of the company's single origin L'Amourette Gold series that also included other Venezuelan and Colombian bars. The bar had a coy dark sweet and buttery aroma, and was refreshingly mild. 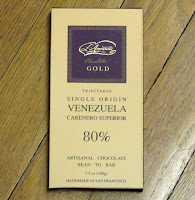 It did possess a bittersweet note in the first seconds of tasting, but was very smooth, slightly fudgey, and low in fruit acid for an 80% cacao bar. It left only a faint, innocent dark chocolate aftertaste. This pure dark chocolate would be a good "daily dose" bar for those who regularly indulge yet don't want the jaw tingling acidity, bitterness, funkiness or sugar.